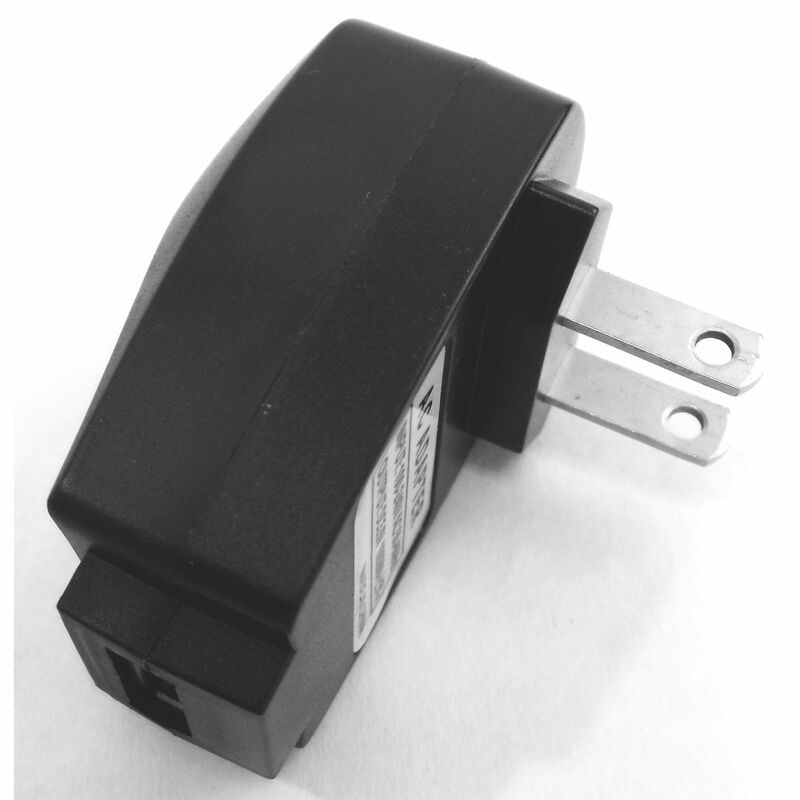 BLACK AC CHARGER WITH SINGLE USB PORT WITH RED LED POWER INDICATOR. CHARGES SMALL ELECTRONICS THAT USE USB CABLE. INPUT: 100-240V AC 50-60HZ. OUTPUT: DC5.0V 1000 MA (+ -) 5%. MADE IN CHINA, BULK.